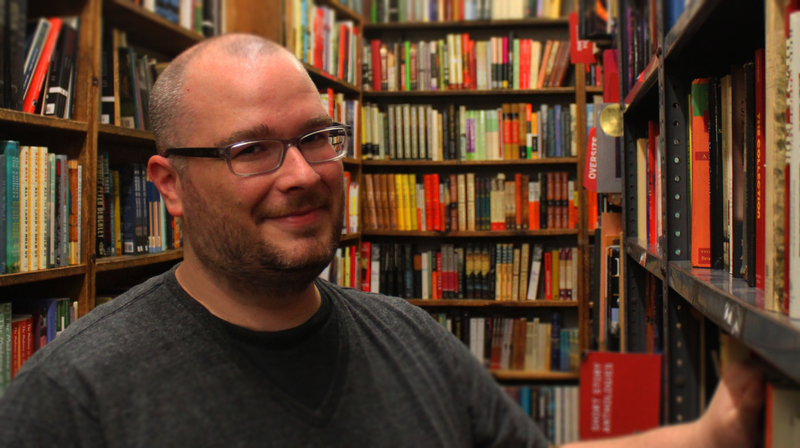 Tim Fredrick is a writer and teacher living in Queens, NY. He is also the founding editor of Newtown Literary, a journal dedicated to supporting and promoting the work of Queens writers. Where are you from originally from? Originally, I’m from Pittsburgh, Pennsylvania. How did you end up in Queens? I ended up in Queens…I went to college in Missouri and after graduating I wanted to try the striving writer in New York bit. So I came to New York without a place to live or a job and it took me a few months to get the job and then of course, I’d always thought of myself living in Manhattan but then once I saw my salary I realized I’m not going to be living in Manhattan and so I started to venture out and came to Queens. I found an illegal basement apartment in a house in Astoria. I was sleeping next to the water boiler. And then a few years in, my landlord calls and says you have to go, the authorities have found out. So that sort of started my journey in Queens. Back then did you have any impressions of the borough? I liked that it was relaxed and quiet, at least where I was. I was in Astoria by Ditmars. So there were a lot of just houses. And it was quiet and a lot of different kinds of people there, which I liked. It was a nice place to be. I don’t know. I don’t know that I even ever thought about Brooklyn. I can’t remember. So there wasn’t as much of an allure as now obviously? Yeah, this was ’97 so not really. It hadn’t really blown up yet. I live in Rego Park. How do you like that neighborhood? I like it a lot. I just moved here the end of January. I bought an apartment, which has sort of been a lifelong–well not lifelong, maybe decade long–desire. I like it a lot. It’s a nice neighborhood. Except for the highway nearby, it’s quiet and my building is nice. There are a lot of interesting, different kinds of people there. How would you describe Queens in general for you? Queens in general for me is hard to describe. And that’s what I like about it. When I started the journal I thought I’m gonna find like what the Queens aesthetic is and there really isn’t a Queens aesthetic. Just like there isn’t sort of like a Queens identity, I don’t think. There are many different types of Queens’ identities. For me, that’s what I like about Queens. You can come to Queens and sort of be who you are and that’s fine. You don’t have to fit into any mold to live here or to claim that you live in Queens. Interesting, I haven’t really thought about that. I don’t know. For me, it’s just about the people and sort of like the attitude of the people. In that there’s not really an attitude about it. I mean I work in Queens. I do go to Manhattan a couple of times, but its proximity to Manhattan doesn’t register for me. How does it compare? Has it changed over the years? I think it’s changed in the same way that New York has changed. In that they’re more tall glassy buildings, more, for good or for bad, there’s more brand name stores, chains, box–store kinds of things. And less mom and pop stuff, which is a shame I think. But at the same time, you can’t stand in the way of what’s happening. How did you get started in the literary scene? I got started in the literary scene… I mean, I came to do the writing thing, which I did for awhile, and then you know, I was working for a woman on the Upper West Side being her personal assistant, which was good, but was not necessarily the world’s most fulfilling daytime job. And I found it hard to write because I wasn’t fulfilled in my daytime job. So I went back to school to become a teacher and in that process sort of lost touch with writing. And then about a handful of years ago I started to write again and got really into it. And I wanted to meet other writers and improve or grow my friends and so I started reaching out. I formed a meet up group for Queens writers. There were a lot of people that signed up. Not a lot of people came to any of the events, but enough of the right people came I guess for me to sort of start to network and meet other people. 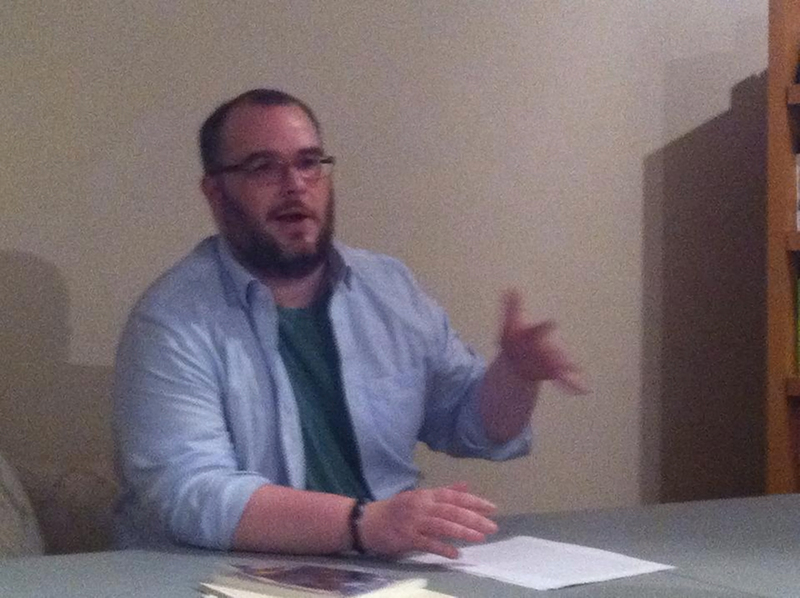 My first sort of official entry into the Queens literary scene was reading at Boundless Tales in Astoria. And that’s sort of what sparked that there’s something really going on in Queens or there’s always been something going on in Queens. But it’s starting to connect with each other. It’s starting to kind of happen all at once. I’m surprised too. I mean, I’ve lived here my whole life and now there’s this whole sense of unity coming together for the literary scene. I think part of what makes it difficult when you’re doing sort of like borough wide kind of stuff is that… going back to what I said before about a Queens identity, usually it’s sort of like neighborhood identities. Queens is a bunch of neighborhoods. And so things are happening in the neighborhoods, but those don’t connect with one another. So I think now they’re starting to connect with one another and you start to see that, oh yeah, there is something going on in Queens… all this time there’s been stuff going on. Would you say that Queens is kind of situated as a more unique place in terms of… you know you have Manhattan, the city, and Brooklyn, so as far as the literary scene, those are probably going to be the focal points, so I guess how do you see Queens fitting into that because a lot of the time Queens is being compared? 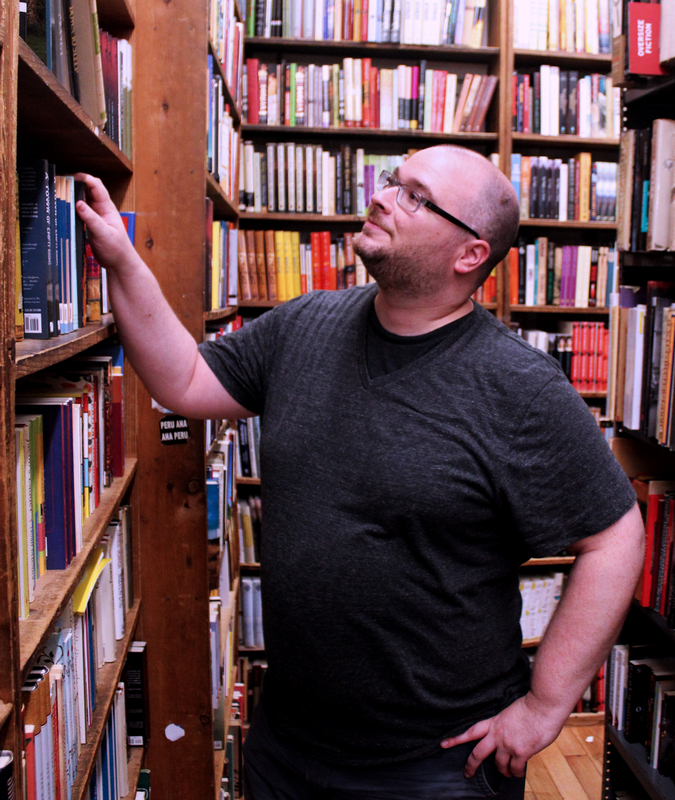 I think it’s good for the literary scene in Queens because you’re not beholden to any sort of like notion or preconceived idea of what the Queens literary scene is. So it can be whatever it turns into organically. And you know, because we don’t have huge names, although I think that’s changing, sort of associated with Queens, we’re not stuck in a box, which is nice. Do you sort of have a vision of where you want things to go? Or you’re not really trying to push anything? I’m not really trying to push anything personally. I know that there’s interest in doing a book fair, a literary festival. I think Brooklyn’s book fair is today. Yeah, and I think things are sort of nice the way they are. I would just love to see things continue and become more stable. The literary journal’s finances are always a problem and I would love not to worry about that; although we’re a small non-profit. That’s always going to be a worry. Can you talk about some of the events and some of the other organizations you work with through Newtown? So we have a connection with almost all of the reading series that happen. I try to make the launches of the issues hosted by the reading series just so that it sort of stays connected. Those reading series help us reach out to writers in an important way. So we have connections with a lot of the reading series. I’ve also been trying this year to build connections with non-literary organizations. So for Queens Writes Weekend, which was April, we partnered people from The Pavilion, the organization that’s trying to save the New York State Pavilion, we had a writing site there, and then I recently got connected with the Rego Park Green Alliance. We’re gonna try to do something again next year for the Queens Writes Weekend. So I think building those partnerships with non-literary organizations is helpful for everyone. Could you talk about Queens Writes? I remember that event in April. That came about last year in 2013 because we needed to do a fundraising event in order to publish the next issue and it’s hard not to privilege one area of Queens. So we wanted to come up with something we could do borough-wide that would be manageable for us. So we came up with this idea of people setting up writing sites just in their neighborhood or whatever. And that worked out really nicely. People were very interested din having these things turn into networking opportunities. People met one another, formed groups, and we were able to have a borough-wide event on a very low budget, very low human resources, standpoint. And that worked out really nicely. This past year in 2014 it grew. So I hope it’ll keep growing as we go. So you’ve worked in the past as an English teacher, right? Yeah. Currently, I do that now. And do you work out of Queens? Could you describe what that experience is like for you? I work in a small K-8 school called Queens Paideia School. It’s sort of like an experimental model. It’s an independent school. I’ve taught in the public schools for a long time. There’s a lot of things that are wrong that are going on in the public schools so working in the independent school system, it’s not really a system, has been nice to sort of really do the things I know will work. So I teach reading and writing and my main is goal is to help kids like reading and writing, if not love it. And a lot of the problems in the public school system really prevent that from happening. Has Queens had an impact on your work? That’s a tough question. I’ve been thinking about that. I don’t know. I use Queens as the setting in many of my stories. I primarily write short stories. But I don’t know that those stories couldn’t take place somewhere else like if Queen’s was sort of like an integral part to those stories. But I do think that the general feeling of Queens being the kind of place where you can come and do your thing has helped me as a writer. I think as a writer it’s very easy to get caught up in writing the stories that literary journals will like or doing the kinds of things that will get you published. And then you stop writing the things that are important to you. The thing personally I’ve learned from Queens is trying to be myself I think it’s transferred over to myself as a writer. And that it’s okay to write about the things I want to write about, in the style I want to write about it. And I don’t have to feel beholden to the literary magazine world to define what it is or how it is I’m going to write about something. So I feel like that’s how Queens has helped me as a writer and also me as a person. Do you have any other major influences? I’ve taken classes at the New York Writers Studio, which is headquartered in Greenwich Village, but now they have a lot of places all over the country. They have online courses… their philosophy is to sort of to get tat the emotional center of a story and I think that has really influenced how I write. And then you know like various short story writers like Cheever, Raymond Carver. Those kinds of writers influenced me a lot. Do you have any particular goal or aim for your work? As far as style or themes you try to convey? I tried to write a novel not too long ago and I just hated it, I just absolutely hated it. It was exciting for the first four chapters and then it sort of just became a slog. And it became not pleasurable and I want my writing to be pleasurable. I sort of fretted for a while about what should I do? Because I do want to have a book-length thing. There are a lot of literary journals, but it’s hard to get stuff published in a literary journal. So I fretted for a while about that and then I decided that I could do short story collections, some of which are popular now when they’re connected. I’m thinking of Here Comes the Goon Squad or… I’m getting the title of that wrong. And so I started doing that and that’s the project I’ve been spending most of my time on which is Adventures in Droneland, which has going pretty well. It’s very exciting. I don’t have that fourth or fifth chapter slog of what do I do next? It does sort of involve the planning of a novel in terms of figuring out what’s going on which is a challenge or me because I like to just get an idea and just write, which has been a challenge for me, but it’s been a challenge I can keep up with and not get discouraged by. How did Adventures of Droneland come about? It started off with a story. The story was sort of a collage of different types of writing. Either like a phone transcript or one part of it is like a map that someone’s written on. Just sort of a collage thing. I got the title Voyeurism in Droneland in my head and that turned into Adventures in Droneland at some point. The whole project is sort of about loss and losing. I’m interested in that. So the book is about not what the final dystopian world is like, but how does one get from the everyday where we are to a dystopian kind of place? What’s that process like and what’s it like to lose? So that is sort of the crux and what has shaped how that’s turned out. Is there any crossover between teaching and writing? Oh, for sure. My kids know that I write and they’re constantly asking what it is I’m writing about and I get to share with them my experience and my goal is obviously for them to like reading and writing and I share love of it with them. It’s helpful for them when I talk about what authors do I can also talk about my own experience as a writer. I think they learn form that. I get to share with them how hard writing is which I think is important for kids to learn that it’s not just you magically sit down and type up a story and hey, you’re a writer. It’s a struggle and I think that makes it easier to for them to do what I ask them to do. Do you work with kids through Newtown Literary as well? We did the Queens Young Authors and Poets Contest last school year because our goal is to develop a writing community in Queens. When we got the first issue—we were doing submissions. We got hundreds of submissions and a lot of them were from people that had lived here, gone to school here, and their bios are saying what school they went to. So the next generation of Queens writers are currently sitting in classrooms. If we’re really interested in developing a Queens community of writers then we need to be grooming the next generation as well. So that contest was a lot of fun. It was a lot of work. Very expensive. And so it’s definitely not gonna happen every year, but it was very exciting too. We had an awards ceremony at the Greater Astoria Historical Society in June and it was really exciting to see the kids get up there and read. Someone who was nine got up there and read their work. I was in my thirties before I was confident enough to get up there and read my work. It was really awesome. How do you feel about literary readings in general? I think it’s nice because when you go to the readings in Queens, it’s not hyper-competitive or I did better than you. It’s all very supportive. I’ve seen this at First Tuesdays and other places where the audience finds out the first time someone reads… like they clap extra hard for them. Really supportive. That’s the kind of community I want to be involved in. From the readings that I’ve been to, you never really see the same crowd in terms of style or appearances. I think that’s definitely one of the big advantages. I think the Queens community of writers, just in general, is very welcoming. It’s not about competing with one another or being better or… it’s just about enjoying the written word as cheesy as that sounds, but I think that’s what it is. When you have two other boroughs that are hyper competitive, it’s nice to have that juxtaposition. Anything else you want to add? Well, Newtown is publishing an issue in the beginning of the winter that we’re currently fundraising for. We’re gonna have a reading in Kew Gardens at Odradeks on October 30th. And then we’re having our first literary trivia night on November 10th in Astoria. The reading is more for people to be able to buy the journal there. The literary trivia night is more of a fundraising event. They’re still working out the prices for the tickets but it’s gonna be hosted by Richard Jeffrey Newman. There’s gonna be a lot of literary trivia. Someone else is organizing this for us. They decided not to have too many questions on Jane Austen or the other sort of typical literary things. So both the Astoria Bookshop and the Enigma Bookstore and the Secret Theatre are donating prizes for the winners and for the raffle. So it’s really exciting. Hopefully it’s gonna be a great event. Unfortunately, the two fundraisers for the winter issue of Newtown Literary has come and gone, but you can still help by donating to the organization. Newtown Literary is published by Newtown Literary Alliance, Inc., a nonprofit corporation registered in New York State. They are an all-volunteer organization. The sales of their semi-annual journal do not cover all of their operating costs (including overhead and printing costs) so please consider donating. This interview was conducted by David Pastor. Also transcribed and condensed by David Pastor. Photos c/o Tim Fredrick.